Log into your account and head to your subscriber’s dashboard. Once inside you’ll find your unique referral link. Share your link with friends and family. Once they’ve placed a subscription order and the products have been dispatched, you’ll unlock your 500 points. Get hold of your friend’s unique referral link – if they’re not sure where to find it ask them to log into their account and check the subscription dashboard. Once you’ve got the link, make sure you use it to access the site and sign up. Place your subscription order – as a referred friend you’ll receive a 25% discount. Once your order has been dispatched your friend will receive their 500 bonus points. 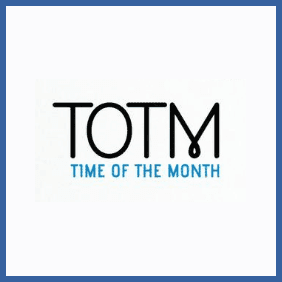 TOTM is a growing community of “period pioneers”, launched in 2016 and offering a range of menstrual products as well as a unique subscription service. What’s more, their entire selection of tampons, pads and liners are 100% organic, biodegradable and cruelty-free. Refer a friend and they’ll receive 25% off their first order, while you’ll receive 500 points worth £5.00.